Is Uman Rosh Hashana Okay For Women? Q. I’ve heard that there are women who go on Rosh Hashanah and I really want to. As with his learning, both your husband and you benefit from his prayers, especially those of Rosh Hashana. When a wife is there, a husband is naturally concerned for her needs. If he’s worried about taking care of her material needs he may find he has less ability to concentrate on their spiritual needs. There is overcrowding, a lack of the most basic privacy in many areas, and serious tznius issues. Most Rabbonim recommend that men go during Rosh Hashana and women go at other times, with their husbands or groups of women. The davening is many hours per day (depending on where he davens, some Yom Tov davening can take 14 hours or more! ), plus many men stay up much of the night to learn and pray. 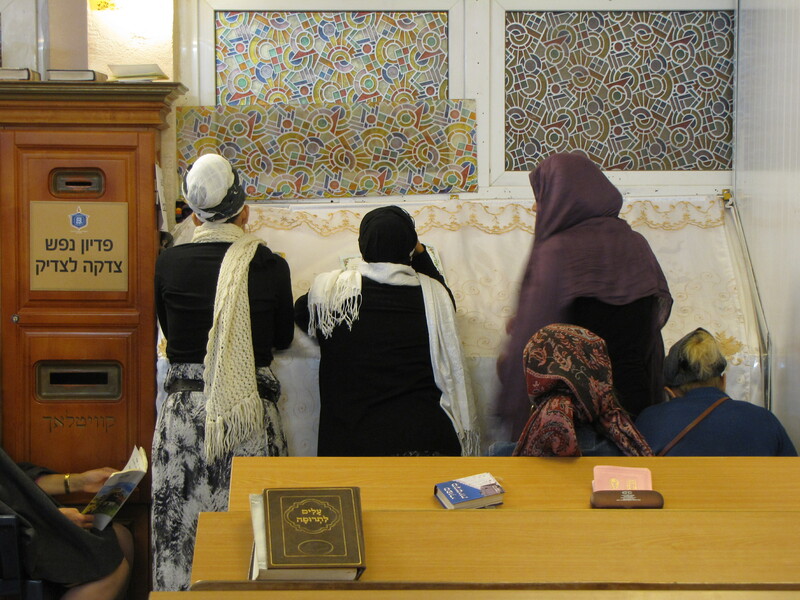 There is no shul for women, so women are left to pray at their lodgings. This isn’t necessarily the best way to feel uplifted on Rosh Hashana. I’ve been told that if a woman must go, she and her husband should rent a safe hotel room or other room, not quite in the center of things. Women who do go, generally daven indoors by themselves as there are no shul accommodations. It can be dangerous to walk on the streets. Q. s it safe for my husband to go? I’m really worried. A. I suggest you ask your Rav for his advice and bracha. I also suggest both you and your husband do hisbodedus. Generally, we find the answers to spiritual and even material matters during meditative prayer. Photo is of women praying at the Tzyiun, the grave of Rebbe Nachman in Uman, Ukraine. June, 2013.